It’s been a while since this site has been updated with new content!I that time, unsurprisingly shopify had gone from strength to strength. Web development and design aesthetics have also gone through wholesale changes. 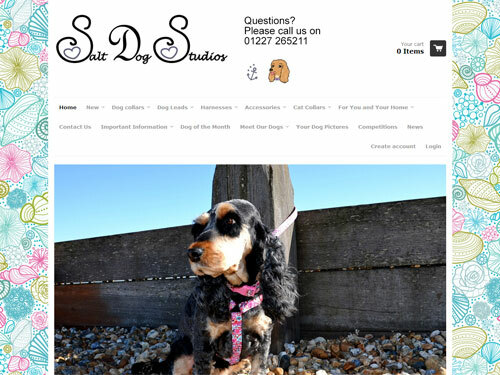 I think Salt Dog Studios is the first responsive design on Shopify Theme Gallery. It work well the colourful patterned background looks nice and the contained content area give the site a familiar and traditional website look feel. their dog collars and bandannas look pretty cool too.